This Machine was Built for a Singapore Based Company Called Brightsun Marine whoare into Ship Repair and Reconditioning. The Machines are Used to Grind the Grooves of the Piston Rings in the Ship Pistons which Get Worn Out from Continous Usage, After which it is Re Plated and The Reground to Get the Necessary dimensions for Suiting the New Piston Ring. 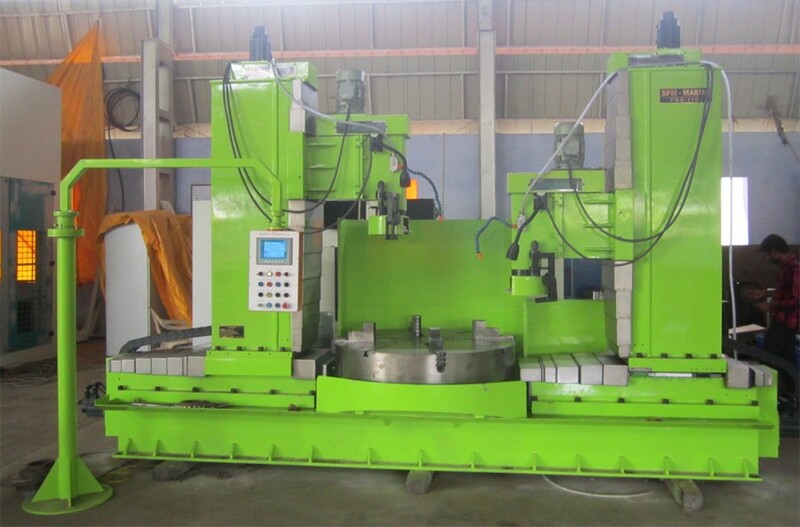 We manufacture Vertical Grinding Machine for varied applications like External grinding, Internal Grinding,Face Grinding, Groove Grinding, Radius Grinding, Double Disc Grinding Etc and According to Requirement is Manufactured with Multi Spindles, Multi Axis and Multi Paths. Vertical grinding gives a lot of advantages in set up and operation.